This is a sponsored conversation written by me on behalf of Pinnacle Foods Group LLC. The opinions and texts are all mine. Can we talk side dishes? I feel like we have this talk once a month. I’m so bad at side dishes. I don’t even plan them. I’ll plan our main dish for every day of the week and then for sides, I literally write “sides” on my grocery list. And then I stand in the middle of the grocery store wondering what sides I should make. 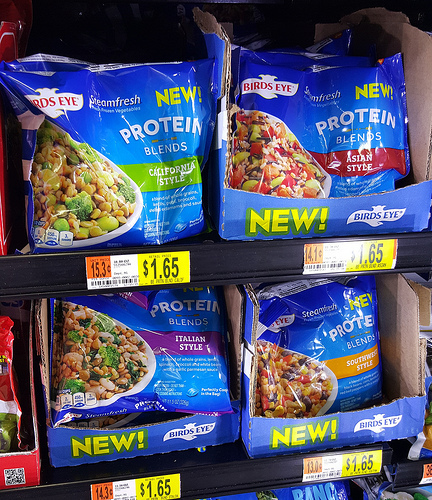 I picked up a couple bags of the Birds Eye® Protein Blends at Walmart recently. I discovered these back in the summer and went through several bags of the California Style and Asian Style – it’s safe to say I was obsessed. I could microwave them for a quick lunch and I felt good about eating them. Lots of protein, lots of veggies. And then recently, I realized I could use them as a side for, maybe, a meatless meal (or any meal really) and make my life really easy by just keeping the freezer stocked with them. 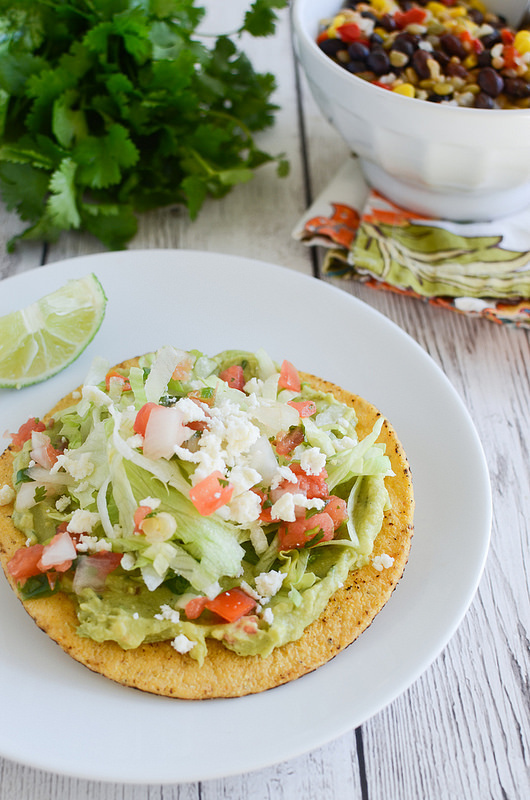 I tried the Southwest this past weeks as a side for these tostadas and it was so delicious. 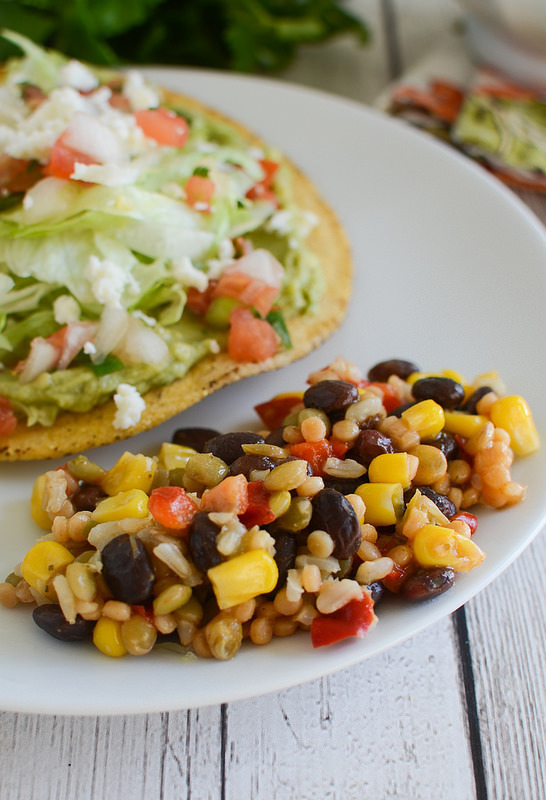 It has whole grains, black beans, corn, lentils, red bell peppers, and a zesty sauce. 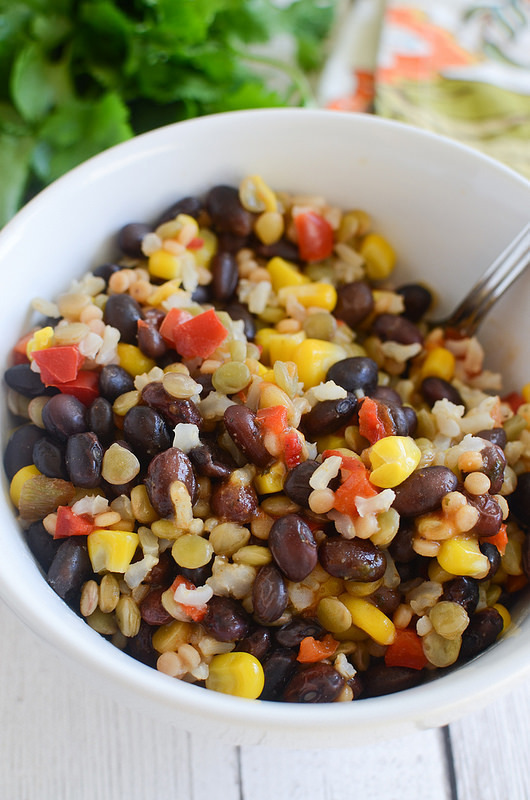 It’s an easy and yummy way to squeeze some extra veggies into your diet. 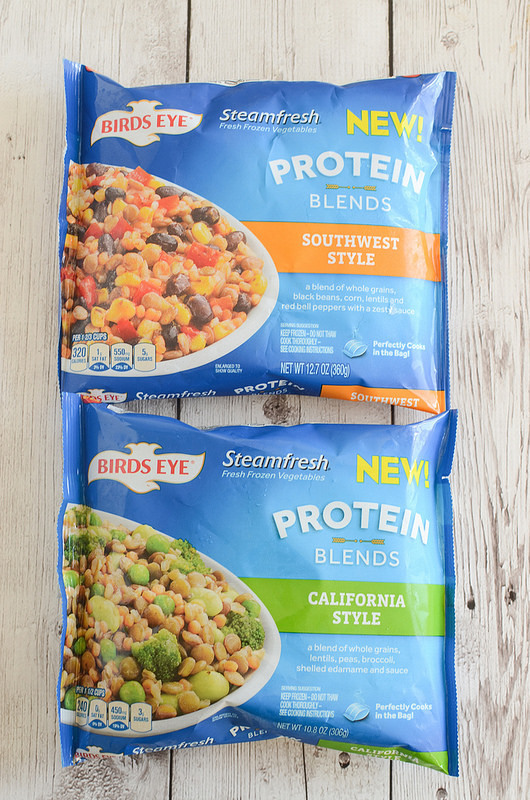 If you’re interested in trying the Birds Eye® Protein Blends, download the Ibotta app and look for $.50 off any of the 4 varieties : California Style, Asian Style, Italian Style, or Southwest Style. Let me know in the comments which of the 4 varieties you most want to try! 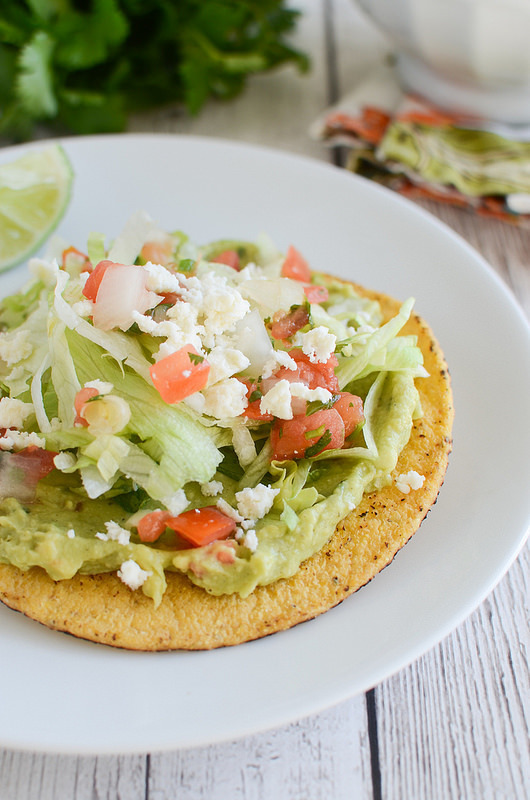 If you’re looking for a meatless main to have with your Birds Eye® Protein Blends, you should try these Guacamole Tostadas. These are the easiest meal you’ll ever make. 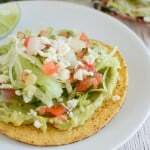 Guacamole (homemade or store-bought) is spread onto tostada shells and then topped with shredded lettuce, pico de gallo, and queso fresco. All the textures, all the flavors, it’s all so good! One Response to "Guacamole Tostadas"